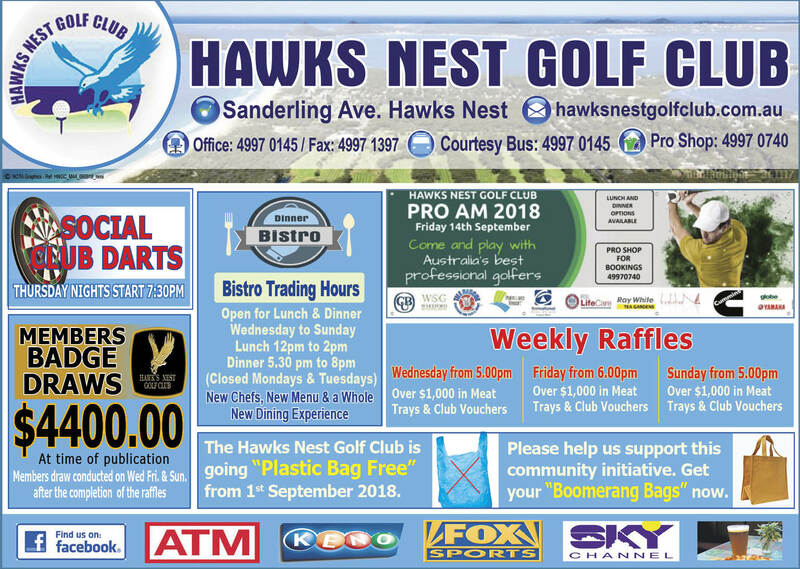 ESTIA’S NEW AVIARY: Don Elliott, Linda Trappitt and Danika Lockley. TEA Gardens local Don Elliott has been fondly described as ‘One of those blokes who just can’t sit still’. 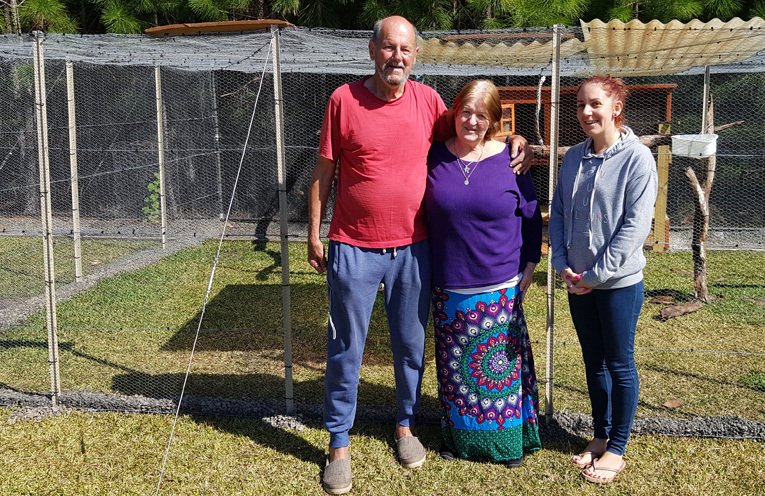 72 year old Don, a resident of the Estia Aged Care Facility in Tea Gardens, has been putting his time to good use, building an aviary of epic proportions, in Estia’s backyard. “It’s taken me five months, I started from scratch, but I’m pleased with it,” Don said. Don built the aviary using his own money and with help from Home Hardware in Tea Gardens. And of course every aviary needs some birds, so enter Tea Gardens Pet Supplies. Owners Linda Trappitt and daughter Danika were only too happy to supply Don with four birds. 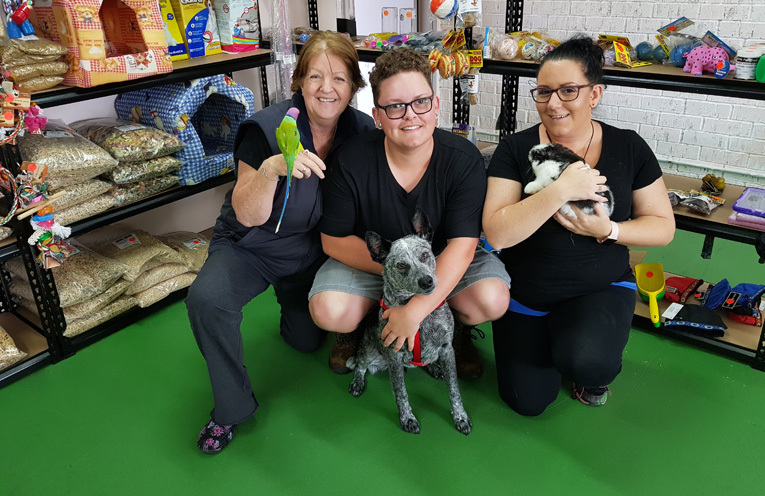 “There’s Dave, the ringneck parrot, Cody a cross ringneck alexandrine parakeet and two quails,’’ Linda said. Last week the birds were delivered to Don and quickly made friends with Percy, another parakeet. But Don’s not quite finished yet, there’s more bits and pieces to be added to the aviary to ensure the birds are happy as larks. TEA GARDENS PET SUPPLIES: Linda Trappitt, Connor Bradford, Danika Lockley.